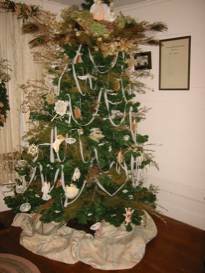 The Maynard-Pearson house serves as home base for the Society and is a feature site in the annual Home Tour each December. 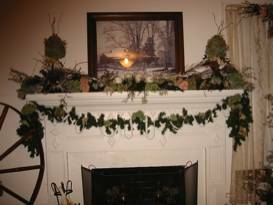 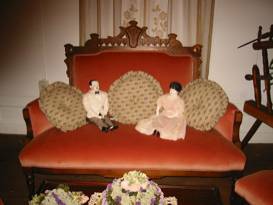 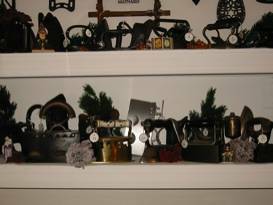 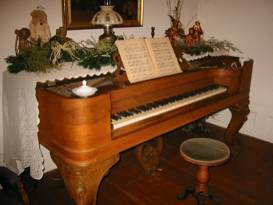 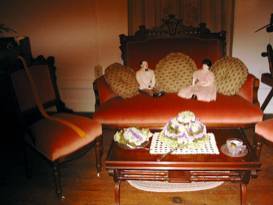 These scenes from the 2003 tour show how the parlor was decorated to represent the 1870 period when the home was constructed and features antiques donated by area residents. 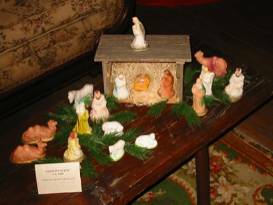 The nativity scene , circa 1950, was donated by Buddy Holland and the collection of irons in the dining room were from Woodie Maynard.